With her two feet on the ground, roots from the north and with that special edge, Camilla Lindqvist aims to challenge standards and conventional thoughts. With driving forces as curiosity, lust for adventure and professionalism, her work as portrait- and lifestyle photographer is characterized by creativity and quality. 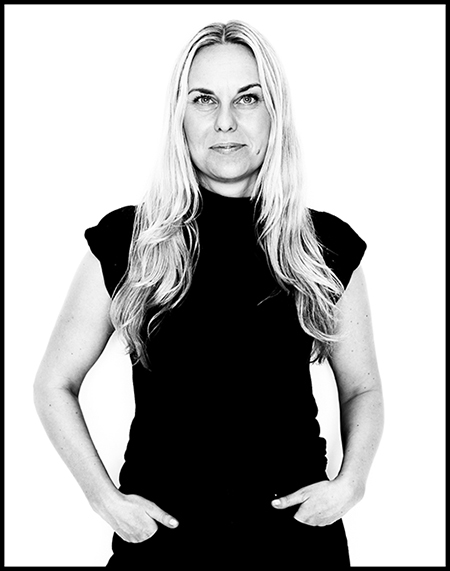 Camilla Lindqvist has worked as a photographer since 1998 and is based in Stockholm. Lifestyle characterized pieces act as a common thread through her artistic history, that spans from editorial travel reportages from around the globe to assignment for larger commercial clients within design, food, interior design and portrait. She creates her strong expressions, situations and environments by small means and limited conditions. Playfullness permeates both her grading and expressions in her portraits. It is clear and aesthetically strong. The analogue feel and tone in the photographs expose a kind of nostalgia. Frequently she moves between studio and location and uses the camera as the worlds best excuse to meet interesting people and places. Until now, Camilla has been noted for her effective, clear and focused approach. With humour, spontanity and intuitive decision making, her photographic art offer that little extra and succeed to challenge the fundamental idea. We need more female photographers like Camilla. Her client list goes on and includes clients like SAS, Skanska, Beckers, Barilla, Berntzon & Bylund, Tidningen Vi, RUM Design, Plaza Deco, Plaza Magazine, diverse magazines among others.